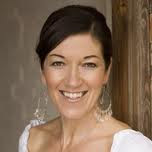 Today I am thrilled to welcome Victoria Hislop to Historical Tapestry. 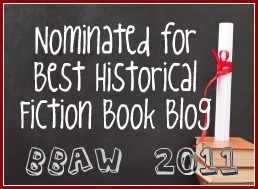 This year I have read two of Ms Hislop's books and thoroughly enjoyed them! (You can read my review of The Thread here). I have one left to read, and I hope to get to that one soon, and then I will be waiting impatiently for each new book! Most of my writing is set in Mediterranean countries. I have never lived in either Greece or Spain, I have just been a visitor (though I do have a house in Crete now, so I suppose that makes me more of an insider). One of the things I am often asked is whether it is difficult to write novels set in places where I have never lived full-time and where I have no family roots. How, people ask, do you take your imagination into a period, or a foreign place? A period that you have never lived in, or a place that is still, after all, alien to you? My answer is simple: music. For me, music is the closest I can get to traveling in time or space. Music sounds the same wherever you are. It’s not, for example, like a bottle of rose wine from Provence. Perfectly chilled and consumed on a summer’s evening in the South of France, it tastes perfect. Bring it home to the UK and it changes completely. It’s all wrong: not at all as you remember it and undeniably disappointing. Music, by contrast, travels and it helps the listener travel too. It sounds the same wherever you are. When I began to write The Thread, I explored the style of music which developed during the period of my story, which begins in the 1920’s - rebetika. This is a very distinctive style that fuses Asia Minor and Greek sounds, and was the music that defined the mood and the character of the decades I was writing about, encapsulating the suffering, nostalgia and loss that so many people suffered. In the first few decades of the 20th century, more than a million refugees arrived in Greece from Asia Minor, bringing with them their music and lyrics that would be combined with the existing sounds of Greece. For whole chapters, while I was writing, I would be listening over and over again to the music that somehow reflected the traumas that my characters were experiencing. It helped me a great deal when I was trying to imagine their emotional state. For me the music of Greece, both traditional and modern, is quintessentially Greek. It is totally distinctive. There may have been external influences, but when I listen to the music of Manos Xatzidakis and Mikis Theodorakis or the voices of Glykeria, Xaris Alexiou, Giannis Parios, or the late Dimitris Mitropanis, I am immediately transported. 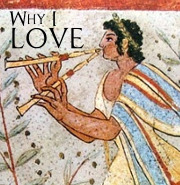 When I am in Crete during the summer, I go to as many musical events as I can find to drink in the sound of Greek music. Even a small village will put on a celebration at least once during the summer and at the centre of it there will usually be a quartet of musicians - generally a lyra (a small, three stringed instrument played with a bow), a bouzouki, a lute and sometimes a baglama (a tiny bouzouki). One of the instrumentalists will also sing traditional songs and there will always be dancing - small children, teenagers and adults (right up into their nineties) will dance together some often very complex steps. Music is never just incidental in Greece, it is always at the centre of any communal activity and I have often found the atmosphere it creates immensely inspirational. And when I take CDs home in my suitcase, I find it travels far better than the local wine!